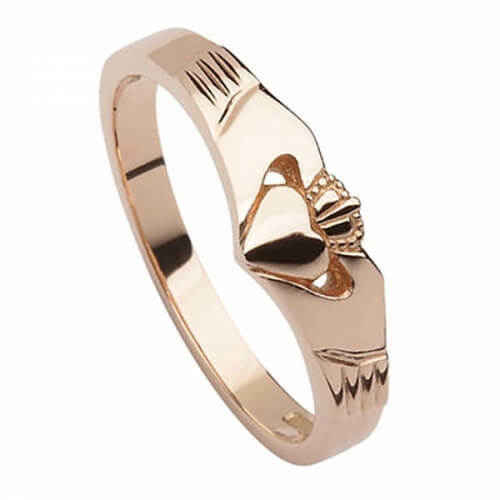 A bold, modern take on the classic Claddagh design. 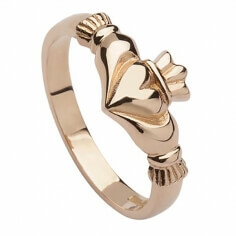 Handcrafted from 10 carat rose gold, this ring has new age design mixed with traditional meaning. 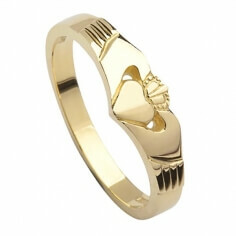 The Claddagh can be used as a friendship ring, a promise ring or even a wedding ring. Made in Ireland by skilled artisans and hallmarked by the Dublin Assay Office.